Are all facilities and consultants available at all times? At Premier Hospital our facilities are run on a 24/7 basis, meaning there will always be a specialist or consultant to attend to the patient. Is there a 24-hour accidents and emergency unit available? Yes, we have a 24-hour accident and emergency unit at the hospital. This unit will have doctors and specialists round the clock for the assistance and treatment of patients coming in. At the first point of communication at our admission desk, our executives will assist you in any way possible to help you with all details regarding admission, number of beds and other details. What facilities are made available? Premier Hospital is a multi-speciality hospital, offering a wide range of treatments for all major problems. We have a wide range of speciality units at the hospital capable of treating from a minor fever to cancer. Will there someone present to guide me through the required treatments and finances involved? Absolutely. Our executives and other medical staff will help you as a guide in understanding the treatments involved as well as the finances. will my mediclaim policy be accepted at Premier Hospital? The responsible consultant or specialist makes an entry for the patient’s discharge. Once the discharge card is prepared, and the file sent for clearance, the final bill will be prepared. Once the payment is made and necessary medical protocols followed, the hospital will discharge the patient. How can I know whether I have arthritis? Consult a doctor if you observe the signs and symptoms like joint pains, swelling and stiffness, numbness and tingling. Only a health expert will be able to determine the real underlying disease. Don&#39;t take a chance on your health conditions as arthritis can cause severe damage to your mobility and to your quality of life. Can arthritis be cured with physical therapy only? strengthen your joints that have been weakened by damage and inflammation. Will the Diagnostic tests hurt? The diagnostic tests may hurt you a little during the physical exam. The doctor will check your joints for swelling, redness, warmth and also check your reflexes and muscle strength. X-rays and blood tests also help in differentiating the type of arthritis you are suffering from. Can I apply ice or heat in the fractured area? Ice and heat have distinct effects to the inflammation of the site of injury. If you apply ice in the site fracture it results in the contraction of blood vessels, reduces circulation and swelling. Applying heat in the fractured area may also be effective in reducing pain. Applying heat will help to increase circulation to the fractured site, and it brings the inflammatory mediators that can help in tissue healing.Moreover, heat reduces muscle stiffness, and also encourages movement. What will be the lifespan of Artificial Joints? Artificial joints are the best alternatives found for joint replacement. The more challenging the lifestyle, the faster is the joint will wear out. Usually, an artificial joint lasts 10 – 20 years considering many other factors like age, health conditions etc. Visit a pediatrician if your child is feeling any kind of health issue or discomfort. Find a doctor immediately if your child has any high grade or low-gradefever, vomiting or diarrhea, cough, cold, etc. In addition, you will need to see a pediatrician for vaccinations and recommended regular checkups as well. What kind of pediatric treatment is provided by Premier Hospital? What are essential childhood vaccinations? Child vaccinations are the only way to prevent your child from getting certain deadly diseases. 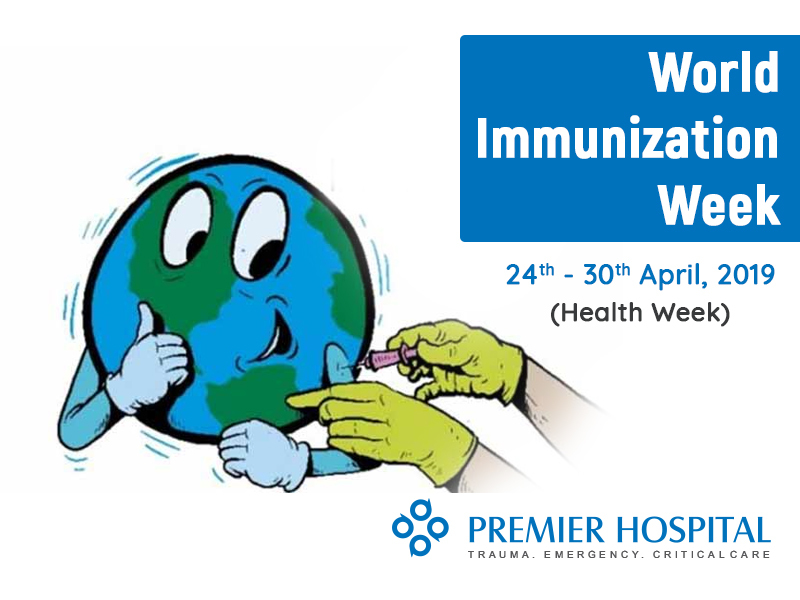 The most essential childhood vaccinations are MMR vaccine for measles, mumps, and rubella, Hib Vaccine for Haemophilus influenza (Hib), Polio vaccinations (IPV), and DPT for diphtheria, tetanus, and pertussis. Each vaccine has a particular time schedule and dosage, which must be followed stringently. So, consult your doctor for the correct dosage and time period before vaccinating your child. How do I make sure whether my child has a healthy diet? Consult our certified dieticians to make sure that your child is getting a healthy balanced diet with all the essential vitamins, minerals and other nutrients which help for healthy growth and development of a child. Some nutritious food that you can give your child is eggs, milk, butter, fresh fruits and dry fruits, whichare rich in minerals and nutrients. How often should I visit a Gynecologist? What can a woman eat to preserve her fertility? For a woman, healthy eggs in her ovaries determine fertility and ability to conceive. The fertility of a woman can be improved by following a diet that includes fruits, vegetables, nuts and grains, which are rich in antioxidants, vitamins C and E, folate, beta-carotene and lutein, fiber. Eat plenty of iron-rich food as well. What measures do I need to follow before getting pregnant? Follow the below common measures before you try to get pregnant. Schedule for a preconception visit at our gynecologist. Take folic acid and Vitamin A rich foods. Maintain a high-quality diet with proteins, amino acids, omega-3 fatty acids etc, in your diet, as these are important for fertility. Which health tips do I need to follow for a healthy baby? By maintaining a healthier body you can give birth to a healthier baby. Consult a doctor often and follow the prescriptions given by the doctor. Maintain a healthy diet such as milk, leafy green vegetables, breads and pastas, beans, citrus fruits which are good dietary sources of calcium, protein and vitamin D. Pregnant women need to take daily prenatal vitamins to obtain nutrients such as folic acid and iron. What can a man eat to preserve his fertility? Fertility in men is defined by the sperm count, quality &amp; mobility. The fertility of a man can be increased with a diet containing Selenium, as it plays a vital role in acquiring healthy sperms. Having selenium-rich food like eggs, meat, fish, walnuts, bananas, leafy vegetables, pumpkin seeds etc, can improve the sperm count and improve male fertility. Will PTSD(Post-traumatic stress disorder) last forever? PTSD doesn’t last forever. Usually, PTSD lasts from several months to a year or more. How long PTSD lasts for a person will depend on both the trauma and the individual person. Generally, time, treatment, and medications help in minimizing or even eliminating PTSD. Can Traumatic injuries be cured permanently? Yes, traumatic injuries can be cured in most of the cases but sometimes depending on the severity of the injury and individual conditions, the chances of permanent cure may reduce. But under good medical care, you can control the symptoms of these traumatic injuries. How often is it that someone develops PTSD after experiencing a traumatic event? Around 8 – 9% of people who experience a traumatic event, develop post-traumatic stress disorder. These figures vary greatly in accordance with the type of event and the individual. Women are more likely to be affected than men. What are Acute Stress Disorder and Post-Traumatic Stress Disorder? Acute stress disorder (ASD) is a mental disorder, which can occur, in the first month followed by a traumatic event. Posttraumatic stress disorder (PTSD) is a psychiatric disorder which can manifest itself in people who have experienced or witnessed a traumatic event.Symptoms like anxiety, irritability, mood swings, recurrent nightmares or flashbacks overlap each other. Will Trauma injuries and stress lead to cancer? Although physical injuries and stress can cause a number of physical health problems, the chance of trauma resulting in cancer is very rare. If a patient does develop cancer, it would be due to other factors, hence carefully watching your diet and the effect on your body of various substances plus regular health checkups can decrease an individual’s risk of Cancer. Can brain tumors be cured without surgery? Yes, some types of tumors can be treated without surgery, but not all kinds. There are also other modes to treat tumors such as gamma rays. The treatment shrinks your tumor and slows down its growth up to some extent, and might also control your symptoms for some time. In some cases, a tumor is partially removed surgically, and the remaining tumor will be treated with radiation therapy or chemotherapy in order to minimize the risk of recurrence. Will I get any side effects post neurosurgery? Will they get worse over time? The risk of side effects post any procedure varies from person to person. There are some common side effects and some, which not everyone experiences. You may experience common problems like pain in the surgical area, infections, anxiety or depression and rarely, seizures. You can keep a note about how you feel post surgery and work closely with your doctors to find the best ways to handle it. If you are not under proper medication or do not follow the advice of your doctor, the condition may get worse over time. Look for the following symptoms in a person to determine if she/he is experiencing a brain stroke. Slurring of speech or difficulty in speaking, distorted face, difficulty in walking, blurred or double vision, pins and needles sensation, numbness and weakness of limbs. The process of treatment is different for each condition. To opt for the appropriate treatment option, our neurologist will review your health history by performing and interpreting tests of your brain and the nervous system, come to a diagnosis and advise accordingly. How’s your response in emergency/ life-threatening or critical conditions? We have well-experienced doctors who handle critical cases 24/7 in the hospital. We have advanced equipment for the treatment of our patients and we take high-quality care for all patients having an emergency. Is Your Emergency care unit available 24/7? Yes, we have a 24/7 emergency care unit at Premier Hospital. The emergency care unit has doctors and specialists round the clock for the assistance and treatment of patients coming in. Can you take care of polytrauma? Yes, Premier Hospital is a multi-specialty hospital, where a trauma team consisting of not only the emergency physician but also the intensivist, orthopedic surgeon and general surgeon is available whenever a polytrauma case comes in. We have a wide range of specialty units at the hospital which helps us provide the best care for all our patients.